Patient care is provided by a team of dedicated and trained home health professionals. 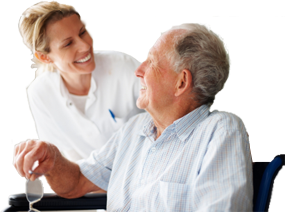 All staff members are registered, licensed or certified by the State of Utah for their individual specializations, and are supervised by our home health management team in order to provide you and your loved one with optimal care. Specialty Nursing Services is committed to quality care. We are able to fulfill our mission by developing programs and personnel that ensure timely, efficient, and competent service to our patients. Our goal is to be known in the professional field as a respected resource for health care providers. For over 20 years we have been achieving this by ensuring patient rights, providing quality care, coordinating services, and exceeding expected patient outcomes.